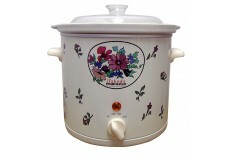 To brew healthy, herb-based food, use the Takada Zisa ISB30-3L Electronic Stew Pot. It's got the right materials to maintain the flavour and nutrients of your food anytime. Attractive and Innovative Design The Takada Zisa ISB30-3L comes with a Zisa inner pot that is known to effectively preserve nutrients and taste of food. Its stainless steel support stand that holds a firm grip on the surface to prevent it from falling easily. Versatile and Multi-Function This Takada Zisa ISB30-3L functions automatically and is ideal for brewing tonics, herbs, medicine or black chicken. Its electronic device monitors water level and cuts off power at a certain level, so you don't need to monitor your cooking. It uses double boil, preserving the natural fla..
CB-33-3L Although the present is moving forward to a modern atmosphere, traditional consumptions are often practiced in order as it can be more effective than the chemist’s medicine. Have you got useful recipes in the racks? Bring it out and take advantage of our ancestors’ findings with the Takada CB-33-3L health pot. 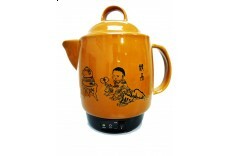 Unique Zisa inner pot technology The Takada health pot is suitable for use with Chinese medicine, herbs and food. 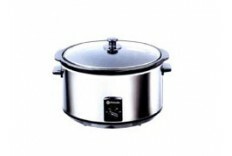 It has an automatic cooking process that takes its cause from the unique Zisa inner pot technology. Zisa is known to effectively preserve the nutrients and taste of food. It is anti-acid, anti-alkali, anti-corrosive and can dissolve the fat in food, effectively decreasing the cholesterol, hence providing great taste and healthy food. &nb..
*AVAILABLE IN MALAYSIA ONLY* SC0-35A Introducing the useful and amazing kitchen helper, the Takada Slow Cooker Stainless Steel Sco-35A. This product will give you the maximum value out of its extremely useful features. This product has an amazing futuristic design and it is made out of only the finest material to ensure top grade quality. This product is easy to use and it require less space for storage purposes. Get it now while the stock last! Features: Slow cooking retains most of the moisture & nutrients in food Three heat settings - Low‚ high and medium Elegant stainless steel casing oval shaped design Neon Indicator light which lights up when heating is in process Removable inner pot - Easy to clean Tempered glass cover No stirring of food ..
*AVAILABLE IN MALAYSIA ONLY* SCO-65A Introducing the useful and amazing kitchen helper, the Takada Slow Cooker Stainless Steel Sco-35A. This product will give you the maximum value out of its extremely useful features. This product has an amazing futuristic design and it is made out of only the finest material to ensure top grade quality. This product is easy to use and it require less space for storage purposes. Get it now while the stock last! Features: Slow cooking retains most of the moisture & nutrients in food Three heat settings - Low‚ high and medium Elegant stainless steel casing oval shaped design Neon Indicator light which lights up when heating is in process Removable inner pot - Easy to clean Tempered glass cover No stirring of food ..
SC-5500A Takada presents you its range of innovative slow cookers, made of quality components including Japan made tempered glass cover which retains the natural flavour of your food! Prepare tasty, pleasant everyday meals with the Takada SC-5500A. Attractive and Innovative Design Slow cooking is know to retain the moisture and nutrients of food without losing the natural essences inside it, and the Takada SC-5500A does just that! A must have item for that healthy lifestyle! What's more, the High heat pot can be heated directly over flame, saving time and saving bills. Versatile and Multi-Function Takada SC-5500A can be used to prepare various food from beef, beans, vegetables and soups. There are three heat settings from Low, High to Auto for you t..
SC-1500A(H) Introducing the useful and amazing kitchen helper, the Takada Slow Cooker White Sc-1500 Flh. This product will give you the maximum value out of its extremely useful features. This product has an amazing futuristic design and it is made out of only the finest material to ensure top grade quality. This product is easy to use and it require less space for storage purposes. Get it now while the stock last! 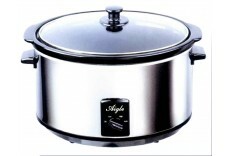 Features: Slow cooking retains most of the moisture & nutrients in food Quality components including Japan made tempered glass cover High heat pot (*only in -H models) can be heated directly over flame Three heat settings - Low‚ high and auto Indicator light which lights up when heating is in process Removable inner pot - Easy to clean No ..
SC-3500A Introducing the useful and amazing kitchen helper, the Takada Slow Cooker White Sc-3500. This product will give you the maximum value out of its extremely useful features. This product has an amazing futuristic design and it is made out of only the finest material to ensure top grade quality. This product is easy to use and it require less space for storage purposes. Get it now while the stock last! 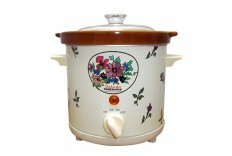 Features: Slow cooking retains most of the moisture & nutrients in food Quality components including Japan made tempered glass cover High heat pot (*only in -H models) can be heated directly over flame Three heat settings - Low‚ high and auto Indicator light which lights up when heating is in process Removable inner pot - Easy to clean No stirrin..
SC-3500A(H) Introducing the useful and amazing kitchen helper, the Takada Slow Cooker White Sc-3500 Flh. This product will give you the maximum value out of its extremely useful features. This product has an amazing futuristic design and it is made out of only the finest material to ensure top grade quality. This product is safe to use and providing high performance operation. Get it now while the stock last! 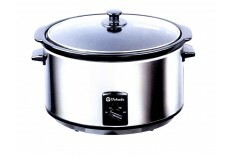 Features: 1) Slow cooking retains most of the moisture & nutrients in food 2) Quality components including Japan made tempered glass cover 3) High heat pot (*only in -H models) can be heated directly over flame 4) Three heat settings - Low‚ high and auto 5) Indicator light which lights up when heating is in process 6) Removable inner pot - Easy to..
SC-5500A(H) Introducing the useful and amazing kitchen helper, the Takada Slow Cooker White SC-5500A(H). This product will give you the maximum value out of its extremely useful features. This product has an amazing futuristic design and it is made out of only the finest material to ensure top grade quality. This product is easy to use and it require less space for storage purposes. Get it now while the stock last! 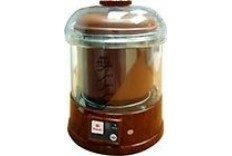 Features: Slow cooking retains most of the moisture & nutrients in food Quality components including Japan made tempered glass cover High heat pot (*only in -H models) can be heated directly over flame Three heat settings - Low‚ high and auto Indicator light which lights up when heating is in process Removable inner pot - Easy to clean No ..